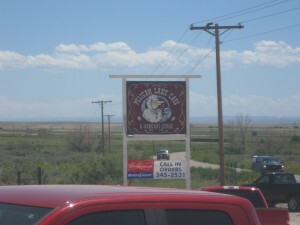 The Pelican Lake Cafe is located overlooking the Pelican Lake, it’s a bit out of the way but well worth the detour. 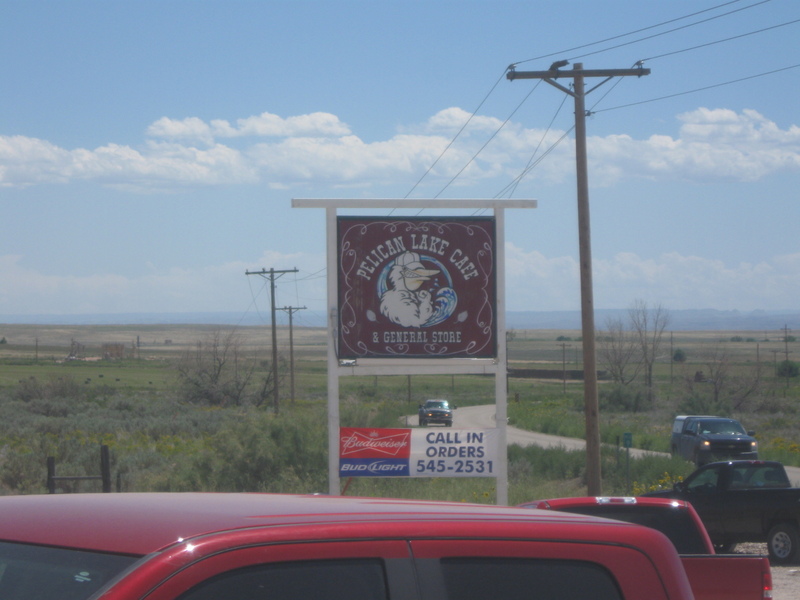 If you are traveling along Highway 40, between Roosevelt and Vernal, Utah, take a turn to the south onto highway 88 heading to Ouray and Pelican Lake. Stay on that road for about 10 mile and you can’t miss it. If you see this sign, pull in. 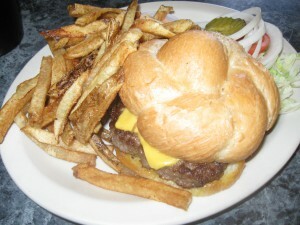 The food is Good and Plenty at a very reasonable price. 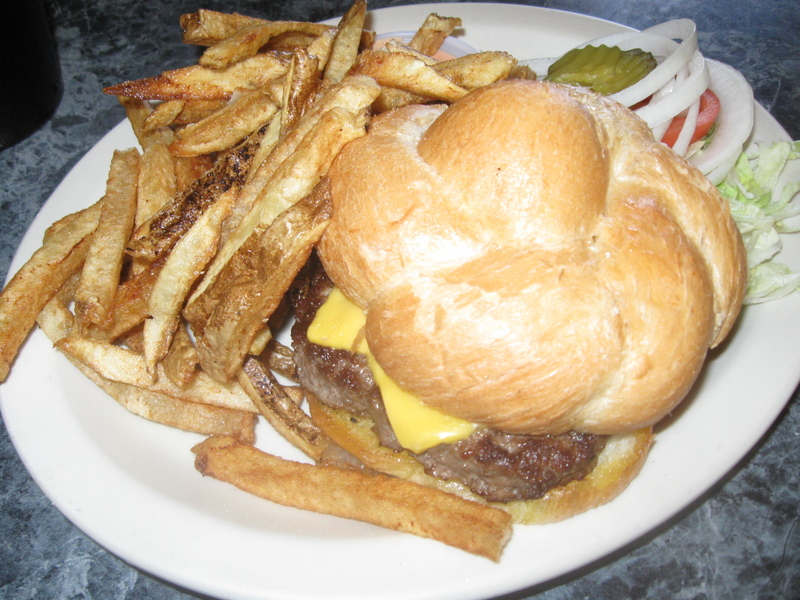 The breakfast burritos are shockingly good and the Burgers are absolutely the best in the state save for the Buffalo Burger at the Bohemian Brewery in Murray. What gives Pelican the edge though… the bun. Its fantastic. I sold a cool tactical shotgun to the owner and we talked about his cafe and the food there… He’s proud of his place and justly so. Very cool guy. Stop in, eat a burger (or his favorite, the Chicken Taco) and tell him that the Ogre sent you. I bring this up again, because I took two of my boys there to grab a bite. It was well worth the drive. I’m just glad I don’t see bacon sticking out or I’d be raiding for meat. And those look like homemade fries too…everything good comes to places that I move from. Remind me never to buy a gun from you. I sure hope you got his permission before you “outed” him as a gun owner. Ah, I didn’t out him. He doesn’t hide it. But you hide it, then “outed” yourself. What moral high ground are you standing on? And what is this “Outing” thing? We should HIDE that we are Gun Owners? WTF? Who’s attic are you hiding in? I think the ‘outing’ refers to when you grab as many guns as will fit in your truck, and a pallet of ammunition, and hit the range with buddies.